One-Step Blue produces fast (5-60 min) protein staining in a single step without fixation or washing. 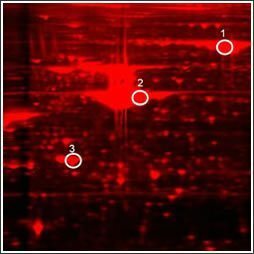 Proteins can be detected by visible blue staining, or by near-infrared fluorescence. 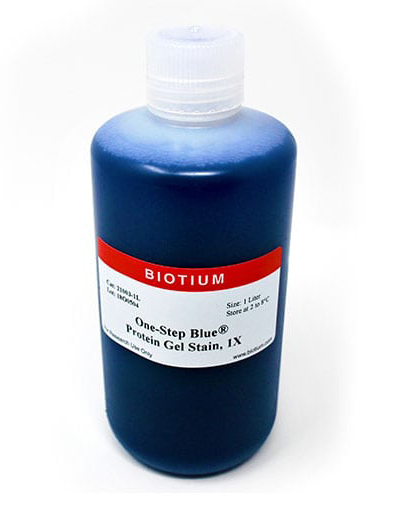 In addition to rapid results and simple staining, One-Step Blue™ offers safer handling and disposal compared to Coomassie staining because it is entirely aqueous-based, without hazardous methanol or acetic acid. One-Step Lumitein™ gel staining requires only a single 5-30 minute staining step without fixation. Destaining is optional. 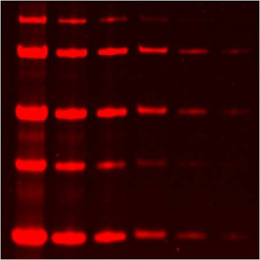 One-Step Lumitein™ Protein Gel Stain offers safer handling and ease of disposal, because it is an aqueous-based solution that does not contain hazardous methanol or acetic acid. One-Step Lumitein™ UV gel staining requires only a single 5-30 minute staining step without fixation. Destaining is optional. One-Step Lumitein™ UV Protein Gel Stain offers safer handling and ease of disposal, because it is an aqueous-based solution that does not contain hazardous methanol or acetic acid.